In Your Own Skin is an antidote to human separation. 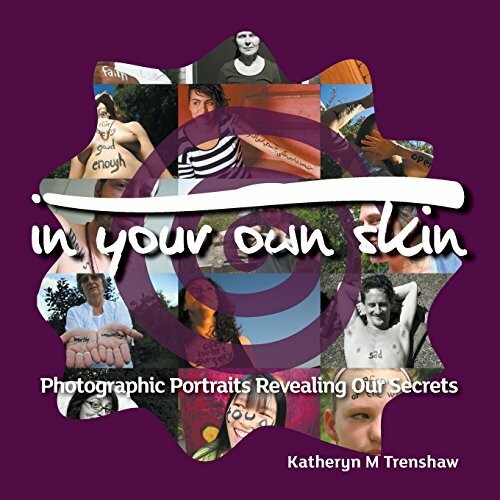 Katheryn Trenshaw reveals our most powerful secrets in photographic autobiographies on skin and turns these portraits into a powerful medium for change. Katheryn has been travelling around the globe for the last few years like a peripatetic social anthropologist treasure hunter collecting stories, footage and photographs of strangers in response to the question: What is true of you but not obvious to strangers?" Through a face, a look or body language we believe we can tell all sorts of things about another person. It is almost second nature to us to project all kinds of ideas about who people are and what they are about. Although these external observations may contain some truth, much can be missed. Katheryn interviews each person and invites the sitter to allow the answer to be painted onto their skin. The result is as fascinating as it is unexpected. That which was hidden is revealed through interview and autobiographies on skin in this book which is a part of the In Your Own Skin multi-media project bridging the worlds of art, community, poetry & body. These 54 colour photo portraits and stories of people from over 40 countries of origin, from USA to UK, Mexico to Morocco, Sweden to Switzerland, have shared their intimate secrets, revealing a living transformative story in a world searching for hope, wisdom and resilience. When all is said and done, and our secrets are out, love is what remains. What would YOU share? This is a treasure trove of favorite inspirations and wise words to share.